Our little family of three moved to the Vancouver area from Edmonton on March 1. Many kind folks have asked: how has Aaron’s transition been? One month later, I have time to catch my breath and reflect. One of the many thoughts that washed fear over my body when I thought about moving was the notion that we were pulling Aaron from the middle of his grade 6 school year to move across provinces to an unknown school. Although we vetted the school district and the schools carefully, we did not know how he would respond to this great transition. 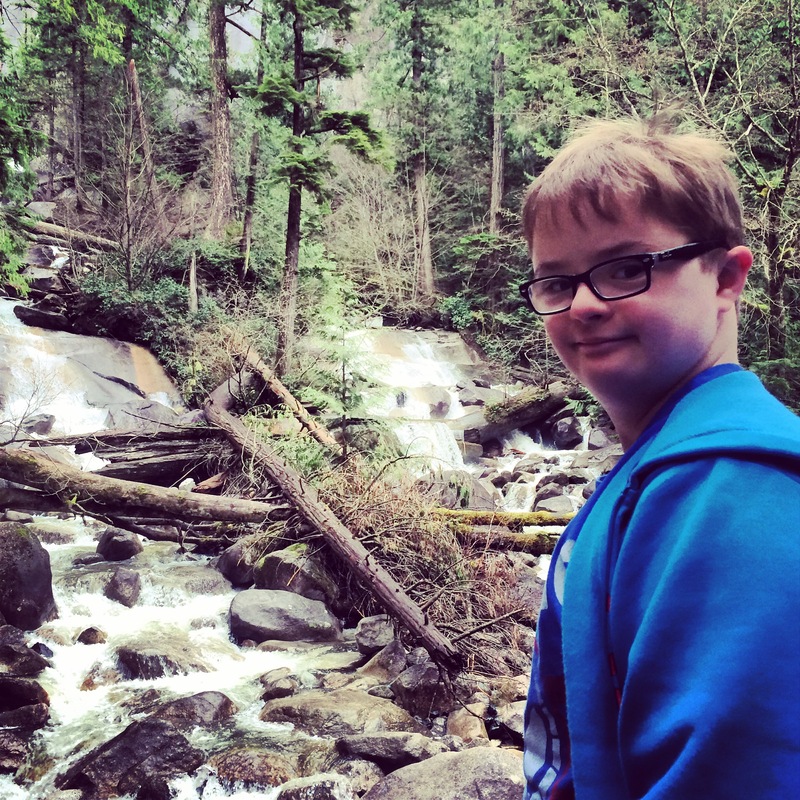 Plus, he was having a good year in his old school – most stories about switching schools in the disability world come from yanking kids from awful school settings. This is was not the case. We arrived a week before our school district’s two week Spring Break. I am thankful to have a family-friendly work place, and I did not begin work until mid-month. So Aaron ended up having a month long break before his first day of school. This slow and steady transition was purposeful. We wanted him to get used to Vancouver and our neighbourhood before his first day of school. We simply hung out. We walked along the beach. We ate sushi and fish and chips. He met the kids living in our cul-de-sac. We admired the view from Burnaby Mountain. We fed the ducks at Burnaby Lake. We went for walks to the grocery store and I put him in charge of mailing letters. We visited the library to apply for a library card. We ventured to the big mall. We played chess at the Burnaby Village Museum. We picked Gramma and Pappa up from the ferry. We walked along the boardwalk at White Rock. We took cousin Olive to the Farmer’s Market. We had newly-near aunties and uncles over for dinner. We drove up to Whistler to eat Aussie pies. I love this can-do attitude. In the end, Aaron was fine with the whole transition thing. Terrified about switching your kid’s school for whatever reason? True, it is risky and the devil you know might be a safe bet. But what if the new school is BETTER? What if the geographical fix ACTUALLY WORKS? I spent a bucketload of time worrying about Aaron’s school transition. I could have spent all that energy thinking about more useful things, like what brand of raincoat should I buy? What’s the best route to drive to my new work? Where is the best sushi? What are all those different birds coming to our bird feeder? 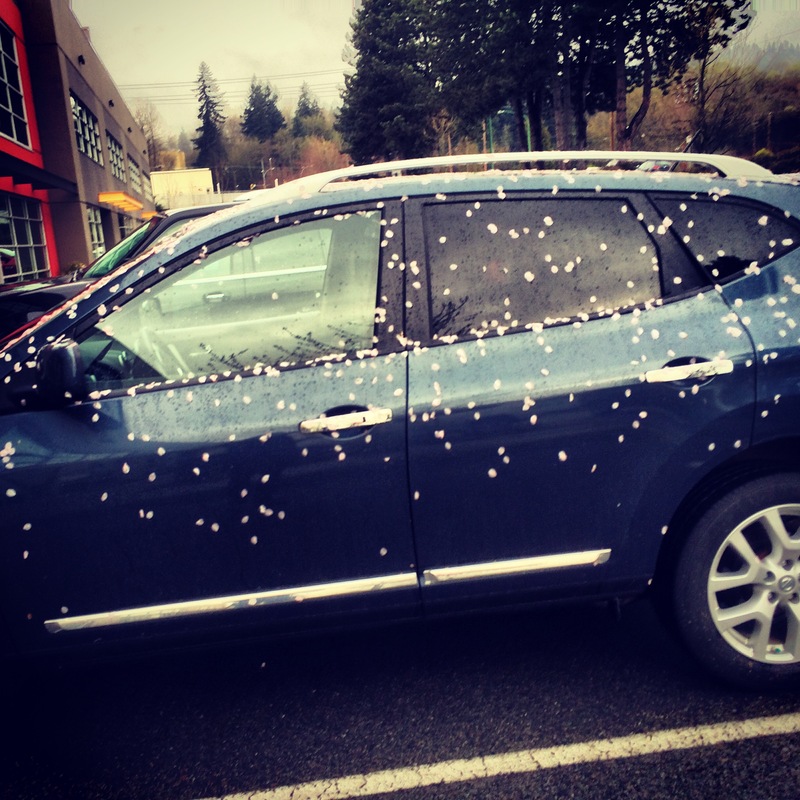 And, most importantly, how do I get the fallen cherry blossoms off my car?